This delicious Brazil single origin coffee from Velton's is hand roasted in small batches and one you don't want to miss! With an amazing balance of sweetness and richness, it is approachable for home baristas of all sorts. 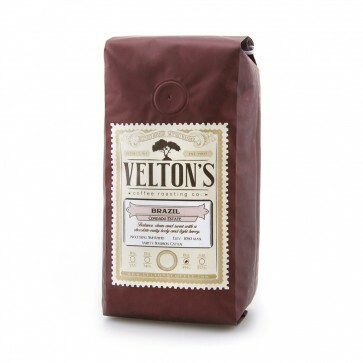 Perfect for pour over or espresso, this coffee is very forgiving and sure to be enjoyed.